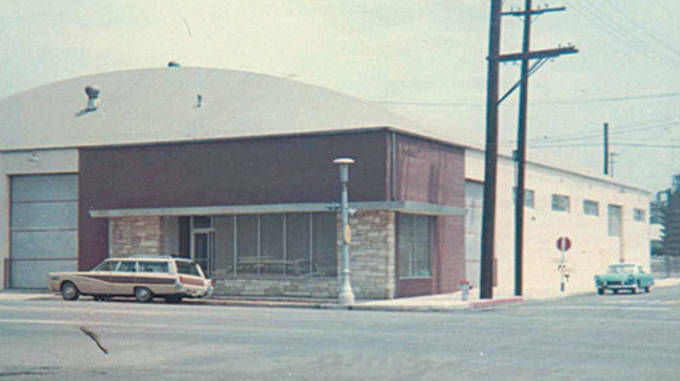 March 16, 1966, is a landmark date in Vans history, as Paul Van Doren and three associates, including his brother James, opened the brand&apos;s first-ever store at 704E Broadway, in Anaheim, California. 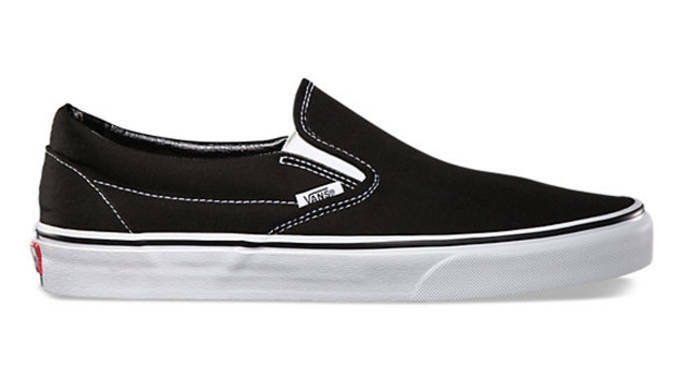 It would still be a few more years before the Vans Classic Slip-On would be introduced, as models like the #44 (now known as the Authentic) paved the way for Vans&apos; most iconic shoe in the brand&apos;s early years. Vans introduced style #48, known more colloquially as the Classic Slip-On, in 1977. The origins of the shoe actually came from a slip-on shoe produced by the company Paul Van Doren previously worked for that featured a non-skid sole designed for boating. What the elephant print is to Jordan Brand, the checkerboard is to Vans. The brand got the idea for it&apos;s most iconic design after Steve Van Doren saw kids coloring in the white rubber on the shoe checkerboard style. Vans initial idea was to recreate the trend on the rubber side profile, but later the company began making checkerboard canvases. 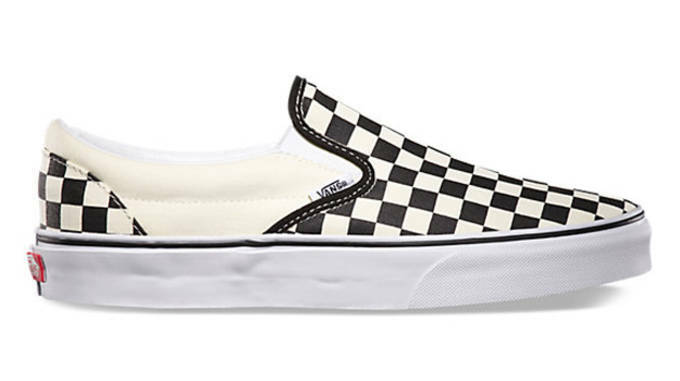 The real launching point for the Vans Classic Slip-On came in 1982, when Sean Penn&apos;s character Jeff Spicoli wore the Checkerboards in the movie Fast Time at Ridgemont High. 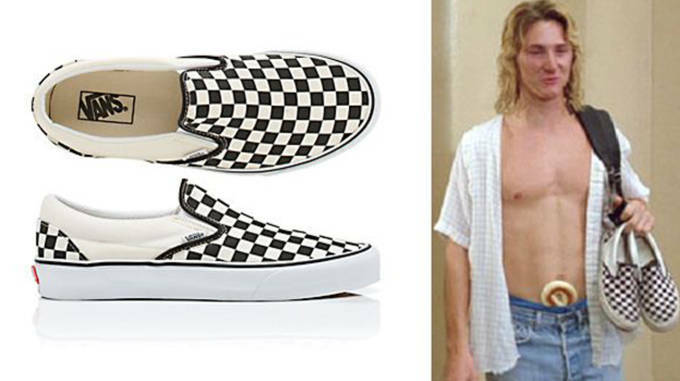 The shoes gained widespread notoriety when Spicoli hit himself in the head with the shoe during the movie&apos;s trailer. The Checkerboards received further recognition when they were prominently featured on the cover of the movie&apos;s soundtrack. 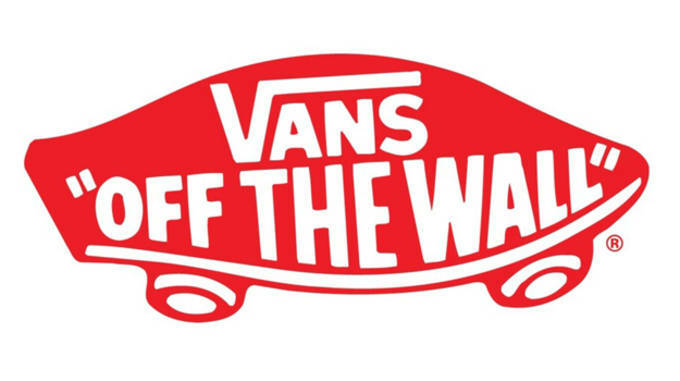 After being forced to file for bankruptcy in 1983, Vans paid off all its debts and was back up and running within a few years. In 1988, the company was sold to an investment banking firm and the brand&apos;s worldwide influence increased. The brand that started in a small shop in Anaheim was now recognized on a global scale. 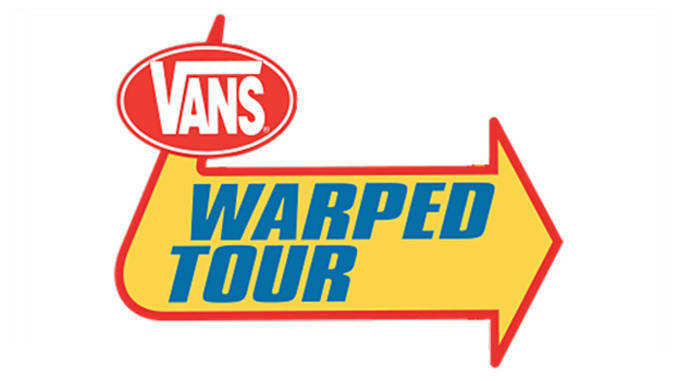 The Vans Classic Slip-On&apos;s association with punk rock was officially cemented in 1995 when Vans signed on as the sponsor of the Warped Tour, which would go on to become the longest-running traveling music festival in the America. Special edition Classic Slip-Ons bearing the Warped Tour&apos;s logo have been made over the years, exposing the shoe to a whole new generation of music and skate fans. On November 12, 2004, Vans launched the Vans Custom platform on its website, which allowed customers to create their own Classic Slip-Ons much like NikeiD or mi adidas. The shoe literally became a blank canvas for your imagination to run wild. 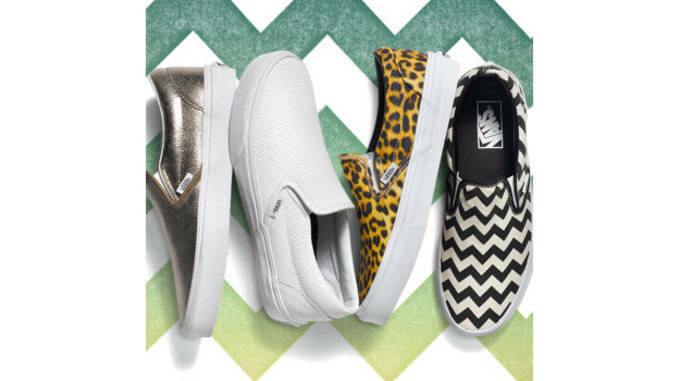 Ten years later, you can still create your own custom Slip-Ons with hundred of different colors and patterns to choose from. The Air Force 1 isn&apos;t the only sneaker with a hip-hop song. 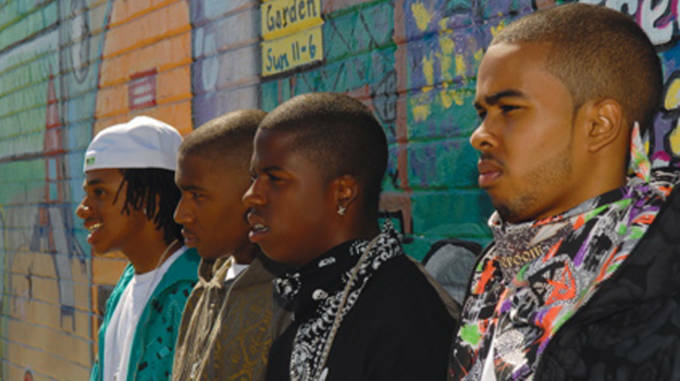 Led by a young Lil B, a relatively unknown rap group from the Bay Area named The Pack would rise to fame on the strength of their single "Vans." The song, which actually denounced the iconic Nike shoe, was an ode to the Vans Classic Slip-On, which was a bit unusual at the time given the shoe&apos;s association with the punk rock and skate cultures. Right around the time Weezy got into skateboarding, he dropped multiple Vans-referencing lines on his 2010 album I Am Not a Human Being. 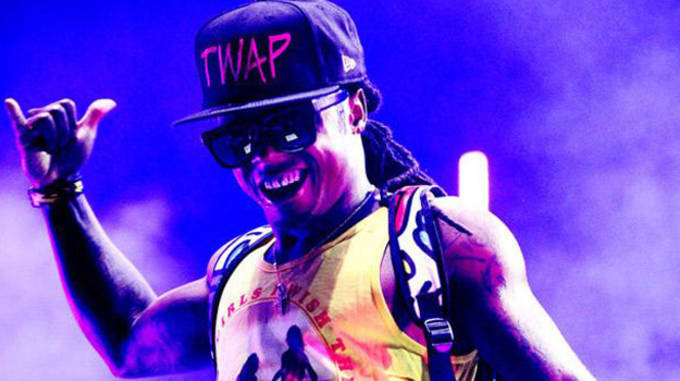 The most notable line came on the Drake featuring single "Right Above It," in which Tunechi boasts about his wardrobe full of "skinny pants and some Vans." Who knew the Vans Classic Slip-On would come to this? 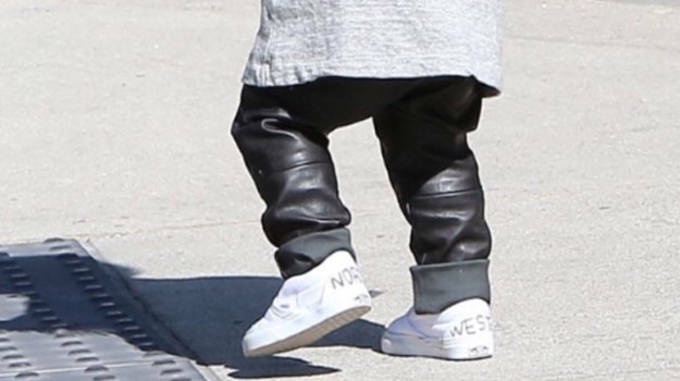 While out on a family pumpkin-picking outing this past fall, North West&apos;s "custom" Slip-Ons were revealed to the world. Sure, they may just be a pair of white Slip-Ons with her name written in sharpie, but it brought the Classic Slip-On front and center in pop culture once again.